Helen Smeh - Home Wishing everyone a Happy, Safe and Healthy Holiday Season. Wishing everyone a Happy, Safe and Healthy Holiday Season. Hello and welcome! We are a natural wellness clinic with two locations in Mississauga and at ﻿Frontier Health ﻿in Burlington,Ontario. We are commited to helping you address all of your wellness concerns - physical, mental, emotional, and spiritual . Lavender (Lavandula angustifolia) is one of the most versatile of all essential oils. Most commonly known for its relaxing effects, therapeutic-grade lavender, like that produced by Young Living has also been highly regarded for the skin. Calming - Rub some Young Living Lavender oil on the bottoms of your feet for a calming effect on the whole body. Also, is a wonderful sleep aid! Bee Sting/Insect Bite - Put a drop of Young Living Lavender oil on a bee sting or insect bite to stop itching and reduce swelling. Minor Burn - Put 2-3 drops of Young Living Lavender oil on a minor burn to decrease pain. 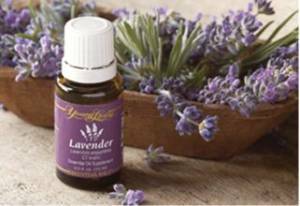 Cuts - Drop 2-3 drops of Young Living Lavender oil on a cut to help stop bleeding, clean wounds, and kill bacteria. Motion Sickness - To ease symptoms, place a drop of Young Living Lavender oil on the end of your tongue, behind the ears, or around the navel. Cold Sores - Put a drop of Young Living Lavender oil on a cod sore to help ease pain and speed up healing. 2. Sleep Aid. Rub a drop of Lavender oil on your palms and smooth on your pillow to help you sleep. 3. Bee Sting / Insect Bite. Put a drop of Lavender oil on a bee sting or insect bite to stop itching and reduce swelling. 5. Cuts. Drop Lavender oil on cut to stop bleeding, clean wound, and kill bacteria. 6. Eczema / Dermatitis. Mix several drops of Lavender oil with V-6 Vegetable Mixing Oil and use topically on eczema and dermatitis. 7. Motion Sickness. To alleviate the symptoms of motion sickness, place a drop of Lavender oil on end of tongue, behind the ears or around the navel. 8. Nosebleed. To stop a nosebleed, put a drop of Lavender oil on a tissue and wrap it around a small chip of ice. Push the tissue covered ice chip up under the middle of the top lip to the base of the nose and hold as long as comfortable or until the bleeding stops (do not freeze the lip or gum). 9. Dry / Chapped Skin. Rub Lavender oil on dry or chapped skin. 10. Chapped / Sunburned Lips. Rub a drop of Lavender oil on chapped or sunburned lips. 11. Hay Fever. Rub a drop of Lavender oil between your palms and inhale deeply to help alleviate the symptoms of hay fever. 12. Dandruff. Rub several drops of Lavender oil into the scalp to help eliminate dandruff. As you can see, Lavender is an essential oil that can be used in a variety of ways – and is great to have on hand at all times! NEWS: Great Day at the Burlington Wholistic Wellness Expo. WOW! What a great day was had by everyone who was at the Expo. which was held on May 31st at the Holiday Inn, Burlington. While the day was rainy, there were over 600 people who attended the event and have given it amazing reviews. We were very busy at the booth where we offered a free Bodytalk mini-session. I already heard from one person the very next who told me that her allergies were better that night after just the short session with me. I would like to send out a special Thank You to Lisbeth Fregonese of Luminous Energetic Pathways Healing Centre for all of her hard work in putting together such a wonderful event. I look forward to participating in the next show this fall. Want to know more? Check out the Bodytalk page on this website. "Helen, I wanted you to know that after my BodyTalk appointment last week, that my back had immediately started to ease up. When I got to my parents (a two hour drive), the pain was a 4 out of 10 (in your office it was a 7). Yesterday, it eased up even more and today I'm pain free. Thank you! See you in a few weeks." ﻿ "Just wanted to say thank you SO much for the session on Monday. The following day I woke up like a different person, with more energy, no pain, and feeling just so much more alive. It was pretty amazing! I still feel the same way!!! I also love how you have incorporated the essential oils into the sessions, and I appreciate the cream and oils you have prepared for me. I am so grateful to you, you are such a beautiful, caring and giving person, and I feel really blessed to know you. I hope you will be able to do this work full-time in the near future because you are SO good and SO gifted at it." Copyright 2015 Helen Smeh. All rights reserved.